redesigned interface to help speed up workflow, delivers a new VST engine and ARA2 support for greater plug-in speed and stability, and adds a host of professional effects. 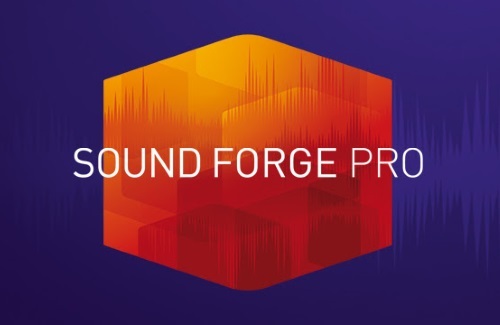 With Sound Forge Pro 13, Magix presents an update specifically designed to meet the requirements of professional audio producers. The enhanced VST2/3 engine and ARA2 interface extension offer greater stability and speed when using plugins, and allow users to work faster and more precisely. Thanks to audio visualization tools, Sound Forge Pro 13 offers more possibilities when analyzing music, speech, and sounds, and displays them both graphically and dynamically. The new Peak Meter V2 allows reliable peak level measurement of digital audio signals according to international industry standards, and shows the precise, current level of an audio signal in real time. Sound Forge Pro 13 also includes numerous new effects and plugins for mastering and cleaning audio files. With version 13, users now get the iZotope Ozone 8 Elements and RX 7 Elements plugins.